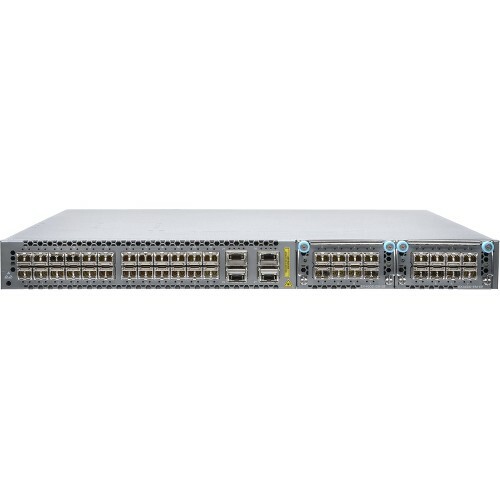 The QFX5100-24Q has two bays on the port panel for optional expansion modules. The QFX-EM-4Q is the companion expansion module for the QFX5100-24Q, which can provide four additional QSFP+ ports to increase port density. The expansion module can be hot-inserted or hot-removed without affecting normal operation of the switch. Each QSFP+ port can only be configured either as a native 40 GbE port (no channelization).